Minnesota United FC traveled to New York to take on New York Red Bulls and came away 2-1 winners. 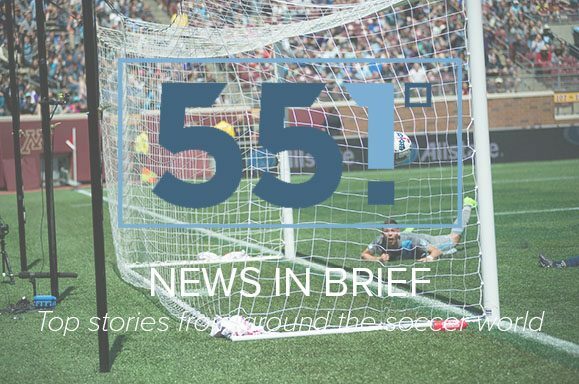 The final match before the Loons open Allianz Field brought the Loons their ninth points of the early season road trip. The win came at a cost, however. Abu Danladi went off with what appeared to be an injury at halftime, and Miguel Ibarra was held out of the match completely with a hamstring injury that could cost him weeks of the young season. With the home opener next week, the question on the minds of many fans is: “How will I get there?”. We at 55.1 addressed this question back in 2015. Now that the stadium is complete, the options are more concrete. Both the Pioneer Press and Star Tribune have put together guides on how to get to the new stadium.